Game birds of all types were very popular in the mid 19th century and were often depicted in art. 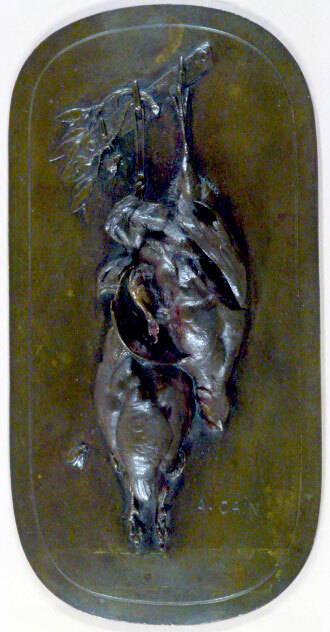 There are many paintings of dead game still lives and this bronze is a similar subject as it shows a brace of Quail hanging. 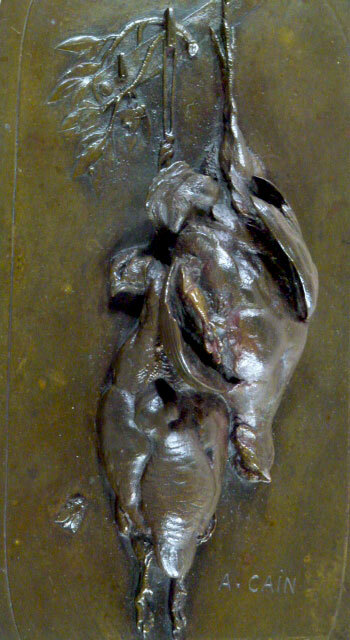 The bronze is very well detailed with a rich dark brown patina, and the relief of the Quail is 1 5/8" in depth. An unusual hunting still life and a rare model for Cain. This large plaque was cast in the mid 1800s in Mene's foundry when Cain was running the foundry and it is a fine 19th century cast.